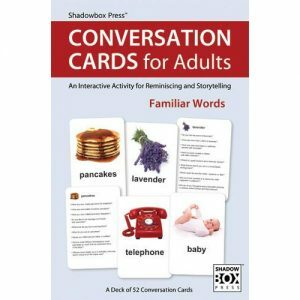 Set of 52 conversation cards featuring photos and questions related to familiar words. This set of Conversation Cards for Adults are designed to encourage individuals experiencing memory loss to reminisce about an event or experience from their lives. The set consists of a deck of 52 jumbo sized 23 cm x 15 cm two-sided cards featuring familiar words. 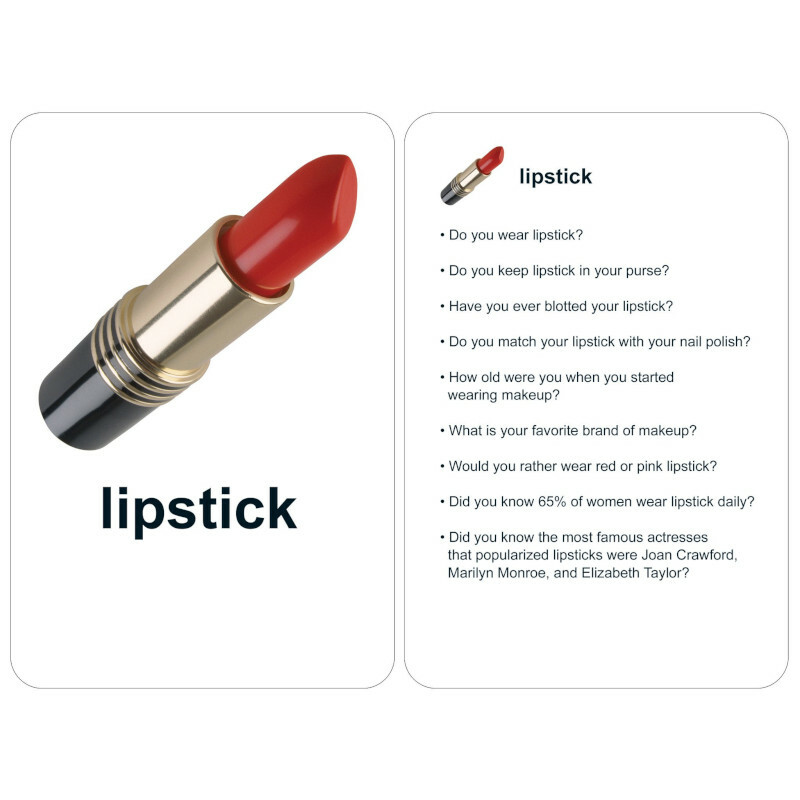 The front of each card has a large, vivid photograph and the corresponding name of the item printed in bold, large-print text. 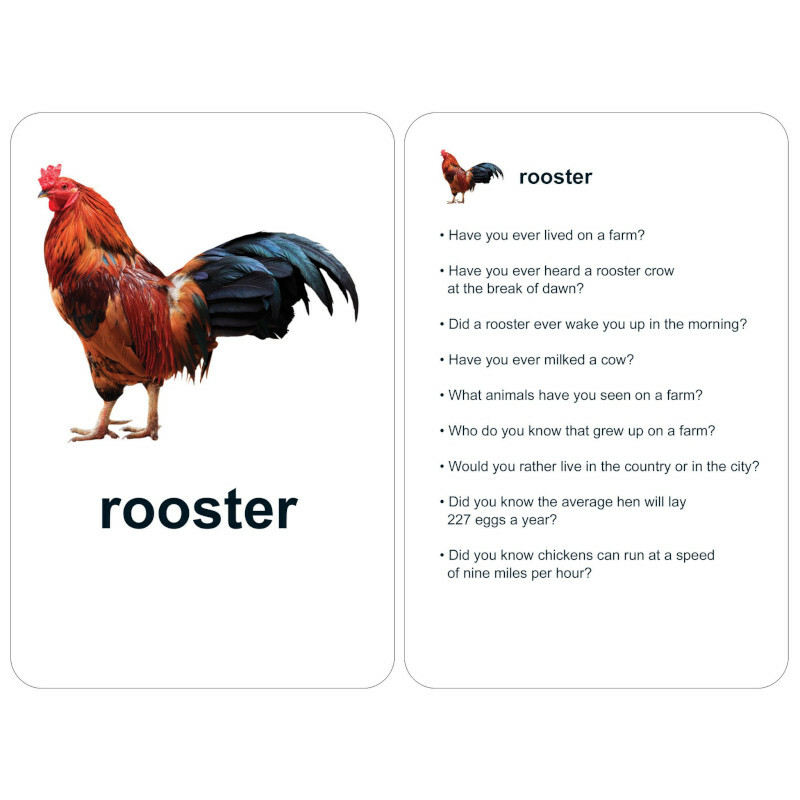 The back of each card features nine questions—a combination of (4) closed-ended, (2) open-ended, (1) either/or, and (2) “Did you know” trivia questions. 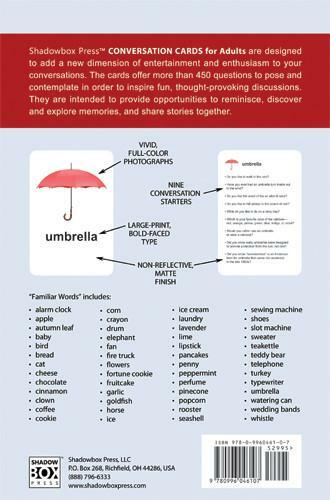 Egs of words – apple, telephone, baby, doll, chocolate, alarm clock.